Registering to a dating site can be great. You can spend as much time as you need perusing different dating profiles, contacting matches and flirting with other users. However what happens if you don’t have that much time? That’s exactly why dating apps have become so popular! We understand that you might be a busy single and that you want to try to fit in your schedule some time for online dating, that’s why we have created a top 3 list with the best dating sites that also offer you to continue the dating experience on-the-go! Discover the best dating apps NZ! The dating apps we suggest you offer free registration and both desktop and mobile experience. Find the relationship you want regardless of your time schedule! 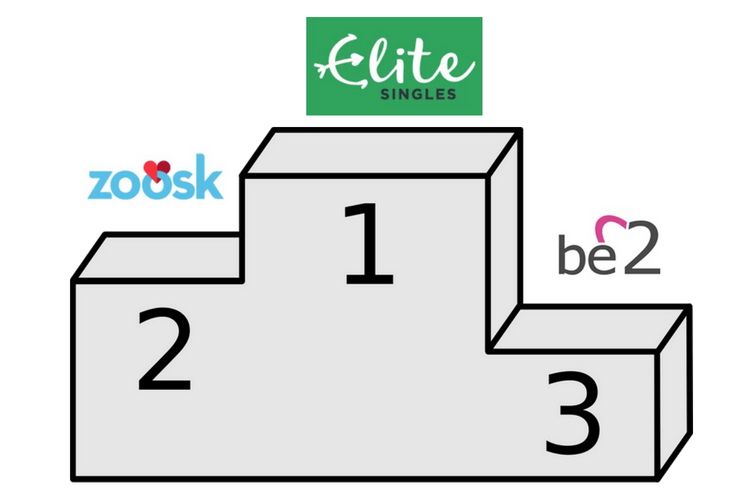 Why should you try Elite Singles NZ? Elite Singles NZ is one of the most popular dating apps in New Zealand. You can either use the desktop platform with their online dating site or their dating app. 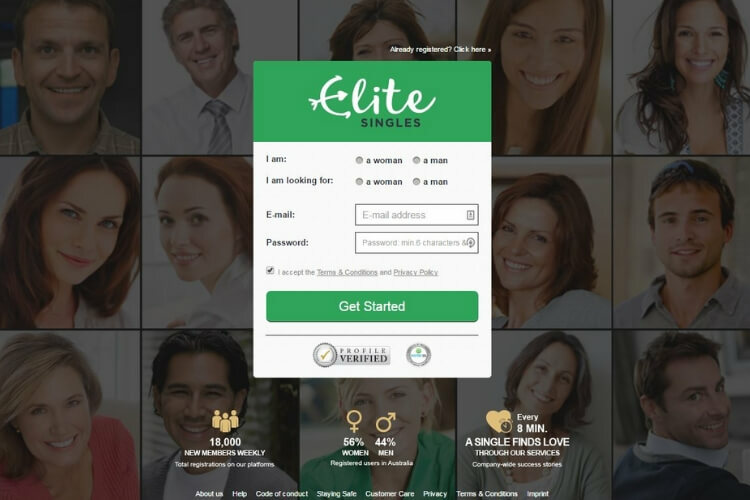 Elite Singles focuses on compatibility between their users. It has a very powerful matchmaking algorithm called the “Big 5 model”. Learn more about Elite Singles NZ matchmaker and its personality test. The aim of this dating service is to create a community with high-quality profiles. Therefore, if you want to become part of their dating community, you’ll have to create an in-depth dating profile (find tips on how to create a great dating profile here). Once your profile is created other users will decide if you can become a member of their community or not. Indeed, a great concept that has helped Elite Singles NZ to build a dynamic community with high-quality profiles. If you’re looking to meet new people and to find someone highly compatible with you, this is definitely your site. They also organize lots of Elite Singles events in the main cities in New Zealand. A great way to meet local singles and to start your romantic adventure! Register for free to EliteSingles NZ! Here is why Zoosk NZ app is worth trying! Free registration and no dating questionnaire: you just need to register and to create your dating profile to start searching for profiles. A very easy to use dating app and dating site: it works like a social media app. Relaxed atmosphere: search for profiles, like the profiles you see, start engaging and getting in touch with users. The more you use the dating service, the more accurate it will become. A great way to find your perfect match. Use the app like you’d use facebook. Interact with users. You can use both the dating site and the dating app at the same time. Learn more about why Zoosk app is the best NZ dating app: a new way of discovering dating-on-the-go. Why should you try Zoosk NZ? 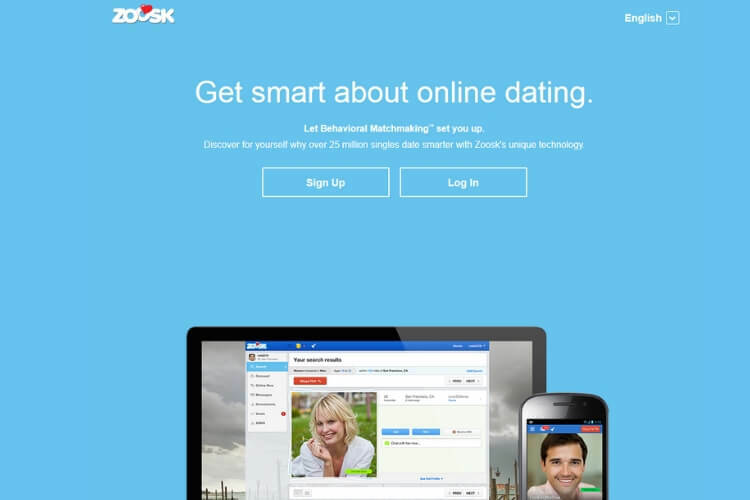 Zoosk NZ has created a new revolution when it comes to online dating. If you don’t want to complete lengthy dating questionnaires, but you just want to slowly get in touch with local singles, Zoosk NZ is what you’re looking for. Its matchmaking algorithm will learn about your tastes the more you interact. In that way, the more you engage in the dating app the better the algorithm will understand your romantic expectations. You’ll see that you’ll have to wait a little bit until Zoosk start to send you really compatible matches, but once the algorithm has started you’ll be surprised with the results! If you’re looking for love and to meet someone really special, Zoosk is the place to go! Meeting new people, finding the long-term relationship of your dreams, matching with different interesting singles around you and most importantly being part of the great NZ dating scene: you’ll find everything in Zoosk NZ! Type of dating site: Classic. Great for mature dating NZ! A great affinity matchmaking system: it analyzed different aspects of your personality (psychological & social) to find the perfect matches for you! Why should you try Be2 NZ? 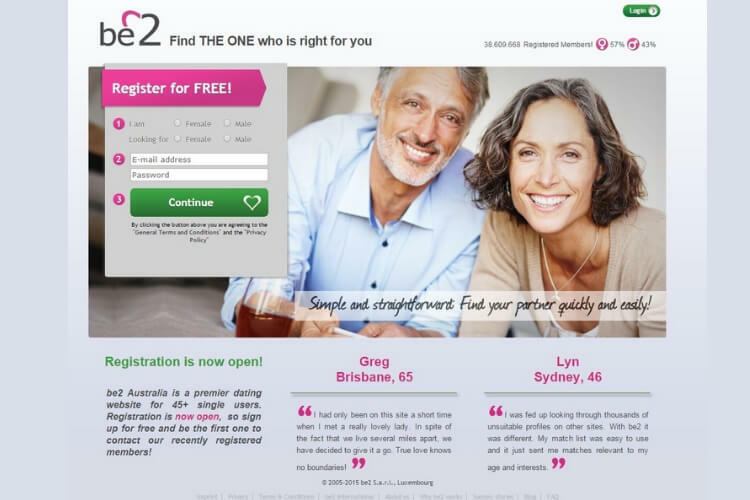 If you’re looking for local senior singles around you then Be2 is your dating app! You can use both its dating site and dating app. With a really user-friendly platform, Be2 is the dating site for singles looking for love. Find highly compatible profiles, start to chat, get involved in romantic conversations and meet up! It really simple and it works! Find attractive singles around you! Register to Be2 NZ for free!